… & Through the Gaps. [Please read to the bottom if you have time – I have a small favour to ask of you]. I don’t know how many of you spotted my intentional reference in my last post. Maybe I was being a little too cryptic or, perhaps the question itself wasn’t obvious. It doesn’t matter. What does matter, to me, is the twinge of sadness that I feel inside, at around this time every year, when the daylight becomes so much shorter and, the sun so much lower. You see, when it comes to making photographs, there are few passions in me to rival it and, infrared is my most consuming joy of the brighter, sunnier months – so much so that when the light and the leaves begin to disappear ever more steadily towards the middle of autumn, I feel like I am losing a friend until the coming of a new spring. It may sound ridiculous to you but, it really does feel like loss. Yes, on beautiful winter days, it is still possible to use the sunlight for IR but the deciduous trees’ absence of foliage makes a huge and noticeable change to the landscape. I’m starting to mourn already, you see. So in my question, “what do we do now?” – well, I am at a loss to know just how my endeavours will progress through the autumn and winter months. One thing is certain though, I will find a way to keep my enthusiasm high and, I will remain behind a camera at any opportunity. This is where I need to focus on other techniques and genres – and so, I must keep my mind open; and, see where I find myself. It has been an absolute pleasure and, a total blast sharing my summers’ infrared work, truly. A real buzz. If this is my last IR post for a while, I know not; the weather will have a lot to do with that. Now, and this is so important to me – I have to say a huge, massive and grateful thank you, to the one chap that has made my latest IR endeavours possible and given me, again and again, the ability to enjoy the passion of alternative wavelength photography to the best of my personal abilities and, hopefully too, for your enjoyment. So I am going to ask a huge favour of you now. If you have enjoyed any of my IR frames over the last months, I ask you wholeheartedly, please, leave a comment and say a warm and genuine thank you to Amar. I would love to see you all leave a comment please, for a true gent, a humble technician and a bloody splendid fellow. My heart goes out. The Guildford Photographic Society are lucky to have you as a member. 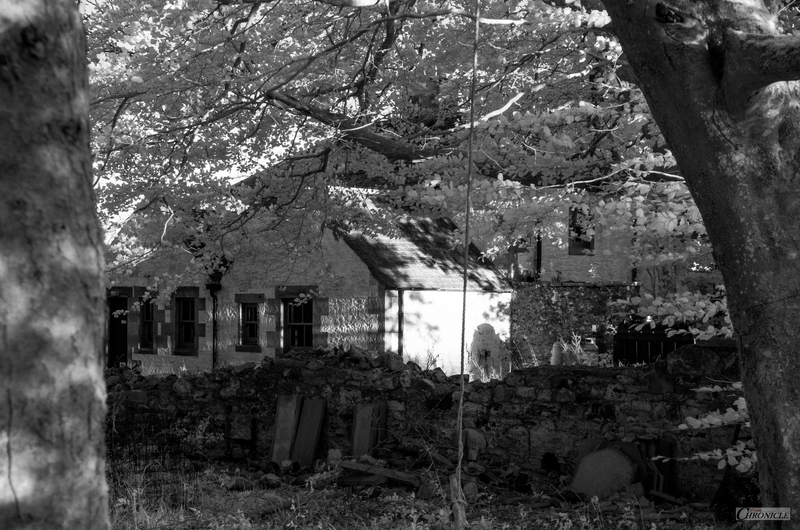 I | The Renovation Project | 720nm IR. 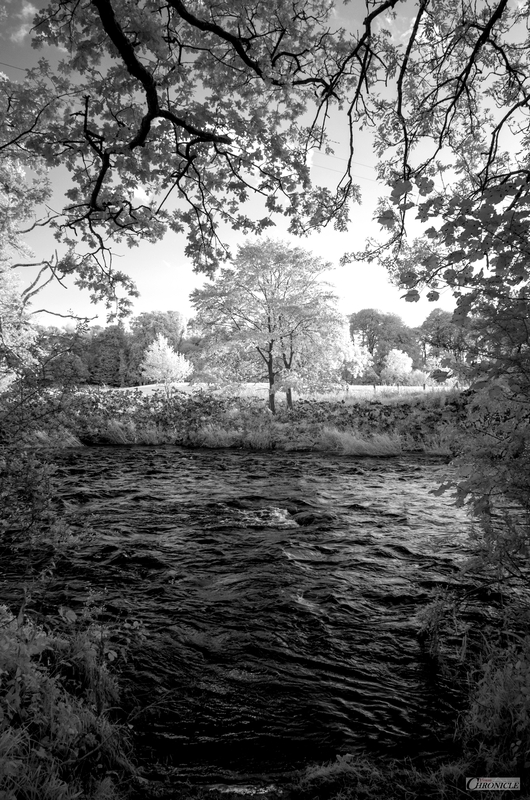 II | Across the Annan – Brocklerigg | 720nm IR. I can think of wonderful contrasts fo IR photography. I don’t know where you live but if you have snow or even frost the contrast with buildings, animals and such against the snow or frozen ground. Also, as snow melts around the base of a plant, the heat difference should give rise to stark contrasts. It should be a great time to experiment. As always, loved your captures Robert. Leah, thank you so much. 🙏 Have a fabulous weekend! And thank YOU so much, Robert! For your beautiful photos and for your thoughts. Rephrasing one Russian proverb I can say: not the technique adorns the photographer, but a photographer adorns the technique (couldn’t find an analog in English). I think you can make a lot of photos in IR or others, but I’m sure that your photos will be interesting anyway. And of course, many-many sunny days are waiting for you, Robert! You will see them definitely. Autumn isn’t the end. Though, I can understand you. I have a difficult relationship with October too.